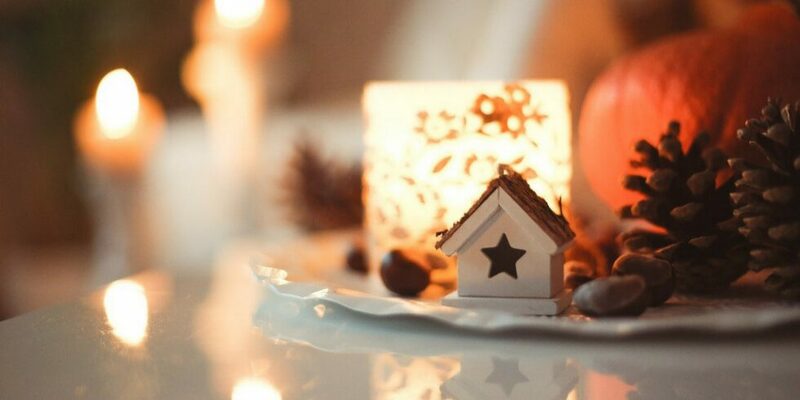 Your home is an extra special place this time of year. It’s where you gather with family and friends to celebrate, and where memories are made. Orchard Ridge’s home builders know how important your home is and have gone above and beyond to provide today’s homebuyers what they’re looking for. With unique designs and hundreds of options for customization, you’re sure to find a home that’s perfect for your family’s holiday traditions at Orchard Ridge. If you’re a master host and look forward to holiday parties all year long, then you’ll love the smartly designed, spacious floor plans at Orchard Ridge. Gourmet kitchens, complete with double ovens and tons of counter space, make it easy to whip up your favorite dishes for family and friends. The formal dining room is perfect for both elegant dinner parties and casual family gatherings. Plus, with large, functional front and back porches, you can move the party outdoors to enjoy the cool winter weather and twinkling stars. Whether you transform your home into Santa’s workshop or keep your decor more understated, there’s so many possibilities in every home at Orchard Ridge. Include an optional fireplace for the ideal spot on the mantel to hang your stockings and display your collection of Christmas cards from loved ones. With open-concept floor plans, you’ll have plenty of options to choose from when putting up your tree, whether you like it in the foyer, living area or one in every room! And, with optional built-ins and tandem garage, you’ll have tons of space to store your decorations for the rest of the year. Whether you’re the family’s go-to for holiday parties or you prefer movie marathons, you’re sure to find a home at Orchard Ridge that’s perfectly suited to you. Bake trays upon trays of cookies with the kids and set up a decoration station at the kitchen island. Don’t fret when the grandparents come for their annual extended stay because the upstairs bonus room, complete with its own bathroom and walk-in closet, provides them with their own private space. And on those quiet winter evenings, cozy up next to the fire with a glass of wine or get the whole family piled together on the couch for showings of your favorite holiday movies. Visit our model homes seven days a week and find a home that’s perfectly suited to your family. To learn more about Orchard Ridge and everything it has to offer, join our Founders Club and receive news and updates.